The 3rd session of the Nike EYBL took place in Hampton, Virginia, May 17-18. 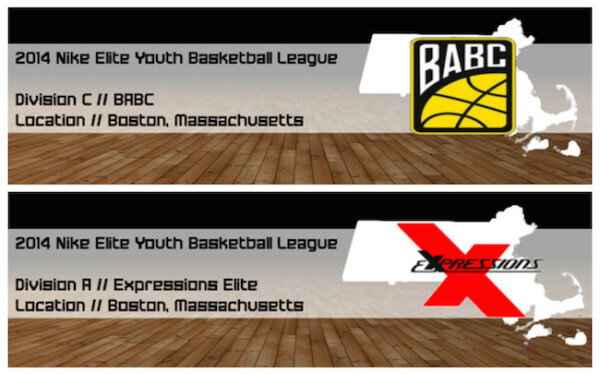 New England’s own BABC and Expressions Elite both finished 1-3. HEA alumni Bruce Brown and Terance Mann played well for BABC, while Kimani Lawrence got his first taste of action for Expressions Elite. Lets take a look at how each played. Bruce Brown started off slow in the first two games, before hitting his stride for games 3 and 4. Brown finished with 26 points, 5 rebounds, 3 steals, and 1 block against MeanStreets in a 58-49 victory. Brown capped off session 3 with a 17 point, 5 rebound game in a 1 point defeated in the last seconds of the game against Athletes First. Terance Mann continued his consistent floor game for BABC, reaching double figures in 3 of the 4 games. Mann finished session 3 averaging 15 points, and 5 rebounds. Mann had his best game offensively when he finished with 21 points, 3 rebounds, 2 assist, and 1 steal against CIA Bounce. Kimani Lawrence played with both the 16U and 17U Expressions Elite squads in Hampton, VA. Lawrence saw his first action in the Nike EYBL, when he finished with 8 points, 2 rebounds, and 1 steal, in 9 minutes off the bench against The Family. Lawrence saw action in game 3 as well, where he finished with 1 point, 4 rebounds, 1 steal in 13 minutes off the bench. against NorthWest Xpress.